This pickup is based on early -80's Aria Pro II MB-1E Ceramic pickup. 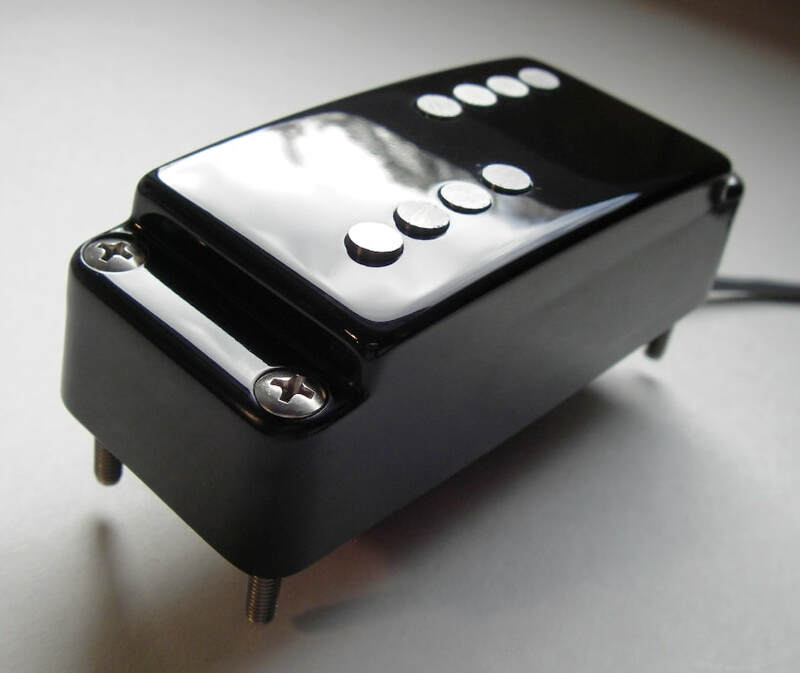 A powerfull humbucker bass pickup. Two ceramic bar magnets, 8 steel pole slugs per coil, four conductor shielded wire, PolyNylon magnet wire. Wood- or machine screws available for mounting. The pickup's cover is thermoformed of high impact polystyrene sheet. The pickup fits directly into the original Aria bass pickup cavity. The use of a four conductor wire makes it possible to connect coils in series, in parallel or use coil splitting for a brighter single coil sound. Available also with two conductor wire; White hot, shield to ground and red for coil tapping. This is a dual coil "reverse" P-bass style pickup. The coils are same size as with MB-1E pickup but loaded only with four Alnico5 rods per coil covering two strings per coil. Sound is more single coil like with less midrange and more highs. Available with four or two conductor shielded wire. Jeff Clark from Manchester, New Hampshire, USA plays Aria Pro II RSB Deluxe with Rautia MB-III replacement neck pickup. This is structually same pickup as MB-II but with Alnico rods going through the cover. Noticeably less output for a brighter tone. Available with four or two conductor shielded wire. Get a new tone from your old Aria bass. This is MB-pickup equipped with MusicMan style pickup bobbins. The pickup use same size magnets and same number of turns of 42AWG magnet wire as my MM Stingray -78 replacement pickup. Polepiece spacing is right for Aria Pro II basses. The sound is warm and big, very close to MM Sabre pickup sound. 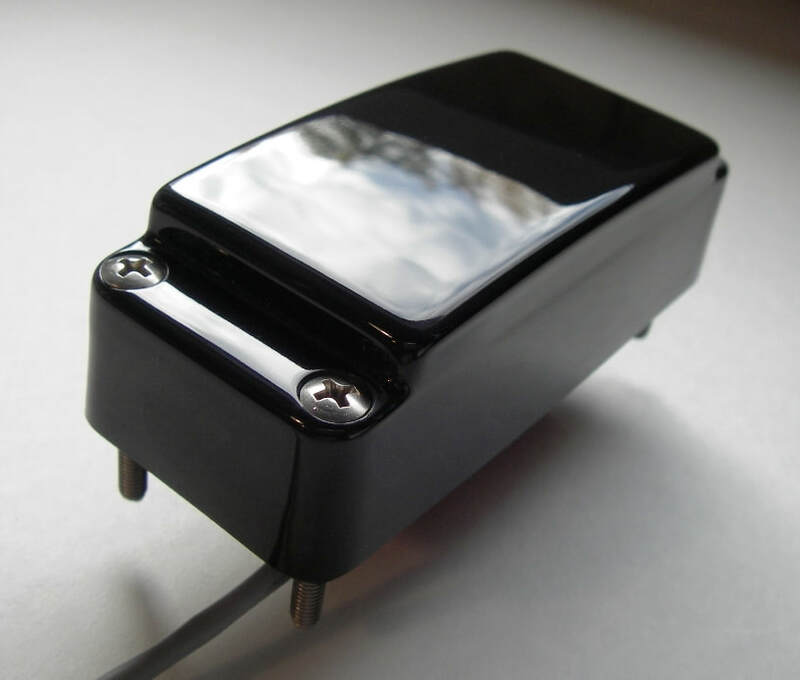 The pickup comes with four conductor shielded wire. 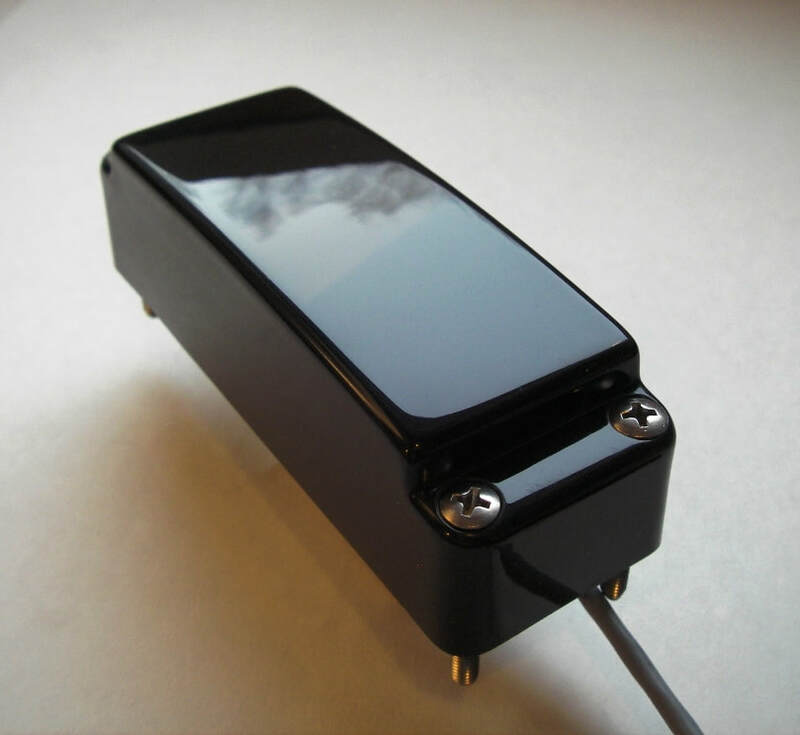 Neck pickup available with approx. 8% less winding. This is a custom MB style humbucker for 5-string bass. Aria has never made this kind of pickup, so this is offered for custom bass builders and tuners. The pickup is a wider version of MB-1E. 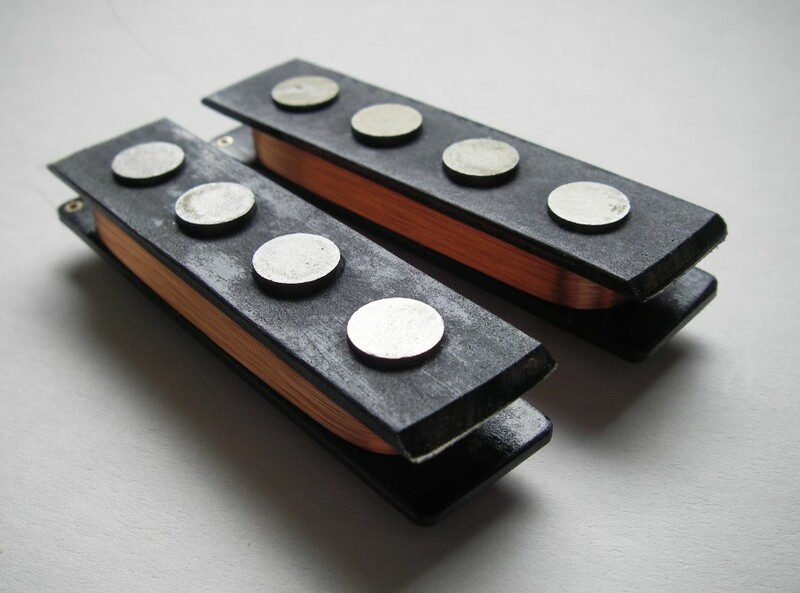 The pickup uses 20 pcs of steel slugs and two wide ceramic bars. Pickup dimensions available on request.